Below you fill find all funeral homes and cemeteries in or near Crawfordsville. Suburbs of Crawfordsville: Crawfordsvlle, Rr Donnelley & Sons, R R Donnelley & Sons. 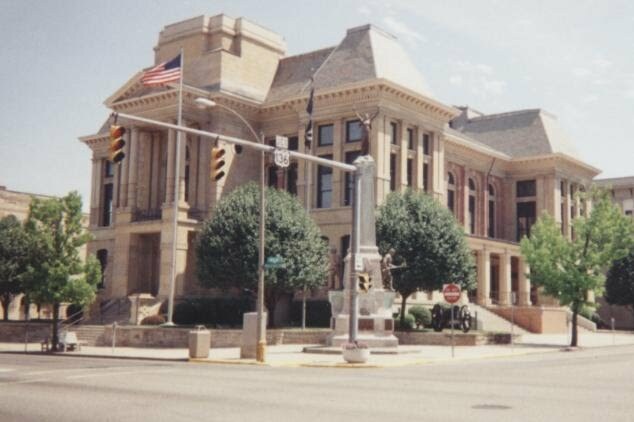 Crawfordsville is also known as: Montgomery County / Crawfordsville city. Their current mayor is Mayor Todd Barton. Zip codes in the city: 47933, 47934, 47935, 47936, 47937, 47938, 47939. Some of the notable people born here have been: Will Shortz (editor and puzzle designer), The Ultimate Warrior (wrestler), Erin Hart (writer), and Brad Bryan (film editor and sound mixer). It was disclosed on February 22nd, 2019 that Mary Kay Mitchell (Smith) passed away in Crawfordsville, Indiana. Ms. Mitchell was 99 years old. Send flowers to share your condolences and honor Mary Kay's life. It was reported by Register Guard on January 20th, 2019 that Jane McInnis (Glover) passed on in Eugene, Oregon. Ms. McInnis was 66 years old and was born in Crawfordsville, IN. Send flowers to share your condolences and honor Jane's life. It was revealed on December 3rd, 2018 that Nancy Stone (Young) passed on in Venice, Florida. Ms. Stone was 92 years old and was born in Crawfordsville, IN. Send flowers to share your condolences and honor Nancy's life. It was disclosed by Sarasota Herald-Tribune on December 1st, 2018 that Nancy Stone (Young) died in Venice, Florida. Ms. Stone was 92 years old and was born in Crawfordsville, IN. Send flowers to share your condolences and honor Nancy's life. It was revealed on August 24th, 2018 that Maxine Elliott-Fleek (Vanarsdalen) passed away in Crawfordsville, Indiana. Ms. Elliott-Fleek was 90 years old and was born in Annapolis, IL. Send flowers to share your condolences and honor Maxine's life. It was reported on July 23rd, 2018 that Marvin Linn Desselle passed on in Lake Placid, Florida. Desselle was 66 years old and was born in Crawfordsville, IN. Send flowers to share your condolences and honor Marvin Linn's life. It was noted by Topeka Capital-Journal on March 7th, 2018 that Ronald D Dr Kelly died in Topeka, Kansas. Kelly was 76 years old and was born in Crawfordsville, IN. Send flowers to express your sympathy and honor Ronald D Dr's life. It was noted on December 27th, 2017 that Michael J Sasso died in Crawfordsville, Indiana. Sasso was 81 years old and was born in Princeville, IL. Send flowers to share your condolences and honor Michael J's life. It was disclosed by Peoria Journal Star on August 28th, 2017 that Russell E Carroll died in Washington, Illinois. Carroll was 88 years old and was born in Crawfordsville, IN. Send flowers to express your sympathy and honor Russell E's life. It was revealed by Peoria Journal Star on April 25th, 2017 that Robert William Evans passed away in Crawfordsville, Indiana. Evans was 86 years old and was born in Peoria, IL. Send flowers to express your sorrow and honor Robert William's life. Crawford, who was the cabinet officer who had issued Whitlock's commission as Receiver of Public Lands. They returned a decade later to find at least one cabin built. The city is the county seat of Montgomery County . In 1813 Williamson Dunn, Henry Ristine, and Major Ambrose Whitlock noted that the site of present-day Crawfordsville was ideal for settlement, surrounded by deciduous forest and potentially arable land, with water provided by a nearby creek, later named Sugar Creek. As of the 2000 census, the city had a population of 15,243. In 1821, William Offield and Jennie Offield had built a cabin on a little creek, later to be known as Offield Creek, four miles southwest of the future site of Crawfordsville. Listing all funeral homes in Crawfordsville, Indiana so you can easily send flowers to any location (same day delivery) or find any funeral service. We work with local florists and flower shops to offer same day delivery. You will find budget sympathy flowers in Crawfordsville here. Our funeral flowers are cheap in price but not in value.